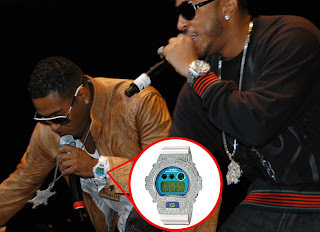 R&B Singer, Bobby Valentino, was recently seen stuntin and iced out diamond G-Shock while preforming on-stage with our boy Chris "Ludacris" Bridges. Bobby Valentino is a Hip-Hop styler and he likes to wear nice things and what's hot in today's world of fashion. ZShock is the prime source for your diamond G-Shock, iced out with diamonds or Ziamonds. Bobby V's choice of a Diamond G-Shock shows again why real ballers keep an iced out G-Shock in their collection. Vist Zshock today to see the newest collection of tricked out G-Shock watches. Check out this video that highlights the new series of diamond ZShock bezels for the G-Shock. 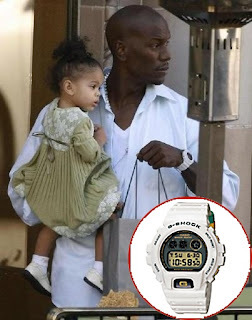 This particular video features the ZShock Premier Genesis. The watch looks crazy cool with a factory fresh fit.